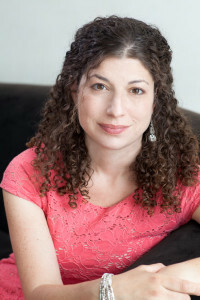 Writer Tova Mirvis explores the intersecting lives of an Upper West Side neighborhood in her newest novel “Visible City.” I asked the mother of three about her new book and how she finds time to write. I was struck by all the different characters and interweaving relationships in your new book. What is the thread that connects all of them? My characters are all connected by the fact that they live in proximity to one another, in the same Upper West Side Manhattan neighborhood where they pass each other every day, even if, at the outset of the book, they are all strangers. I am fascinated by the way that in a big city we are constantly brushing up against other people’s lives. We catch glimpses of people through our windows and see into their daily routines, though we don’t know them. There is an anonymous intimacy that is created by living this way. All of my characters are in one way or another on the cusp of change, as I suppose we all are. I wanted to create a novel that explores the ways our lives intersect with other people’s lives and looks at the way strangers turn into friends and ultimately become catalysts for change in our own lives. Until now, your writing has been associated with Jewish characters and situations. There’s a lot less of that in your new book. Was this a conscious choice? My first two novels, “The Ladies Auxiliary” and “The Outside World,” were about Jewish community and individuality, about tradition and modernity, about belief and doubt. When I started writing “Visible City,” I didn’t explicitly decide that it was not going to focus on Jewish communities. “Visible City” evolved slowly and issues of community and belief weren’t the questions that obsessed me. One of my characters grew up Orthodox, as did I, and many of the characters are Jewish, sort of the way so much of New York is culturally Jewish, but religion wasn’t central. The questions I was asking—about how we see, or fail to see, the people we are closest to, how we make the painful movements toward change—didn’t take on a specifically Jewish context. You’re a writer and also the mother of three young kids. How do you organize your time to get any writing done with the little ones? 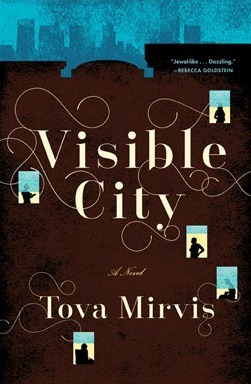 I wrote “Visible City” amid the usual distractions and disruptions of family life. It’s not just a question of creating time in a busy day, but also of forging space in my head and finding the quiet clearing that I needed to write fiction, the sense of focus and concentration to immerse myself in a fictional world. Those are the challenges I faced in writing this book, and part of why it took me so many years to finish it. One of the things I thoroughly believe in is that writing requires you to be very disciplined. In writing a novel, the deadlines are few and far between. There’s rarely anyone asking you how much you got done on any given day, and the amount that you do get done is often immeasurably small. The sense of urgency has to come from within. I write during school hours; I use those hours because that’s the only time I have. 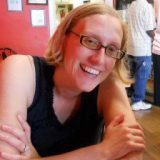 I drop my kids off at school, and then I write. I write best when I’m out of the house, so during school hours, you can usually find me in one of the local Newton coffee shops, on my laptop, my headphones blocking out the noise. I try to live inside my fictional world until it’s time to go pick up my kids at school. Now that you’ve written an entire book about life on the Upper West Side, are you working on a book to show Boston some love? It’s funny—I’ve lived in Boston for almost a decade now but never had an idea for a novel set here. It took me a very long time to feel like I knew this city, to feel at home here enough to have something I wanted to say. But in the past year or so, as I’ve started to think about my next novel, I found, to my surprise, that I wanted to set it in Newton, where I live. I guess I’ve finally become a part of this place, and it has become a part of me. I’m always a little reluctant to say what a new book is about because I’ve learned that what you think a book is going to be about at the outset is not usually what you end up with when you are done. But my starting point is a local urban myth—maybe it’s true?—that there are night swimmers who swim across Crystal Lake in Newton, even though it’s not allowed. I loved the idea of these people sneaking out of their houses to swim in the dark of night. This became my initial inspiration and now I am slowly finding my way forward. So far, this novel has more Jewish content—it’s about religious passion, or lack thereof, about teenage angst and feuding neighbors and a house on the lake that remains unoccupied. As I write, I’ll discover the rest of what it’s about!